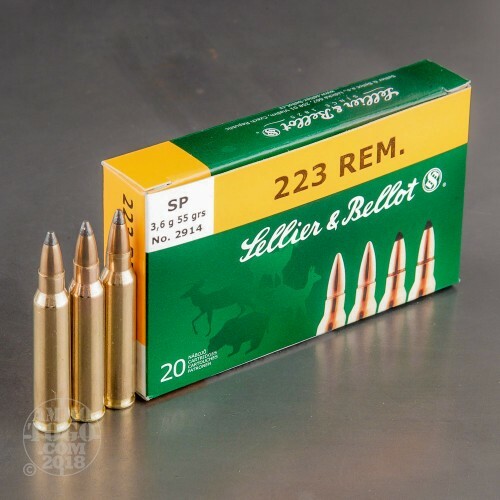 Founded in 1825, Sellier & Bellot is the oldest continually running ammunition company in the world. The Czech manufacturer makes high end products for militaries, law enforcement agencies, and private customers alike. 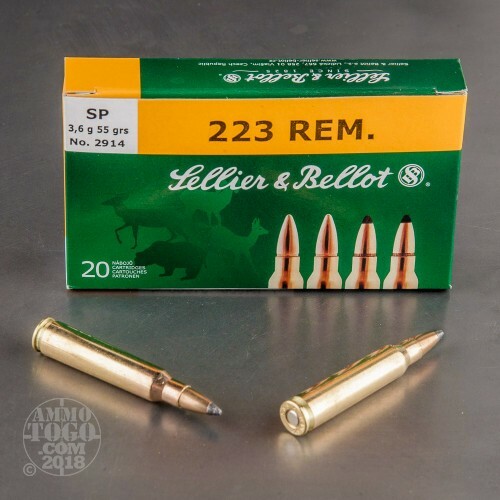 Your rifle will be very happy with this 223 Rem ammunition. This cartridge is optimal for varmint hunting courtesy of its 55 grain soft point projectile. The bullet’s precisely crafted copper-zinc alloy jacket hardens it to ensure both clean shooting and reliable penetration. 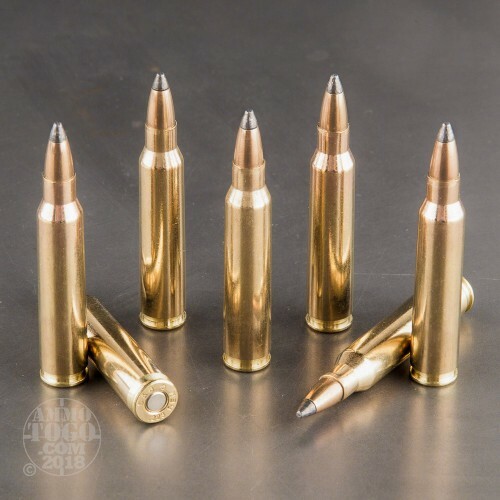 This bullet’s soft lead core is revealed by the jacket at its tip; As it tunnels through game the jacket peels away, creating wide expansion and an accordingly catastrophic wound channel. Sellier & Bellot’s brass casing functions reliably, and because it is brass and fresh out of its factory it’s an ideal medium for reloading. 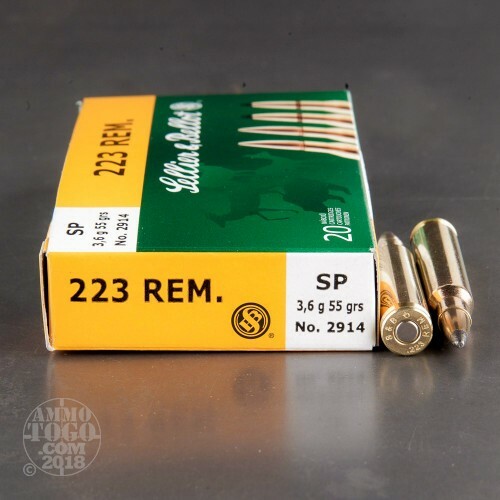 This round’s clean burning propellant produces a dependable 3,301 fps muzzle velocity, and its non-corrosive primer ignites cleanly as well.